Full House. For Screencaps: . Images in the Full House club tagged: full house icon. 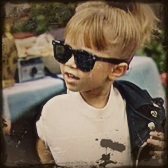 This Full House icon contains sunglasses, dark glasses, and shades. There might also be sign, poster, text, and chalkboard.